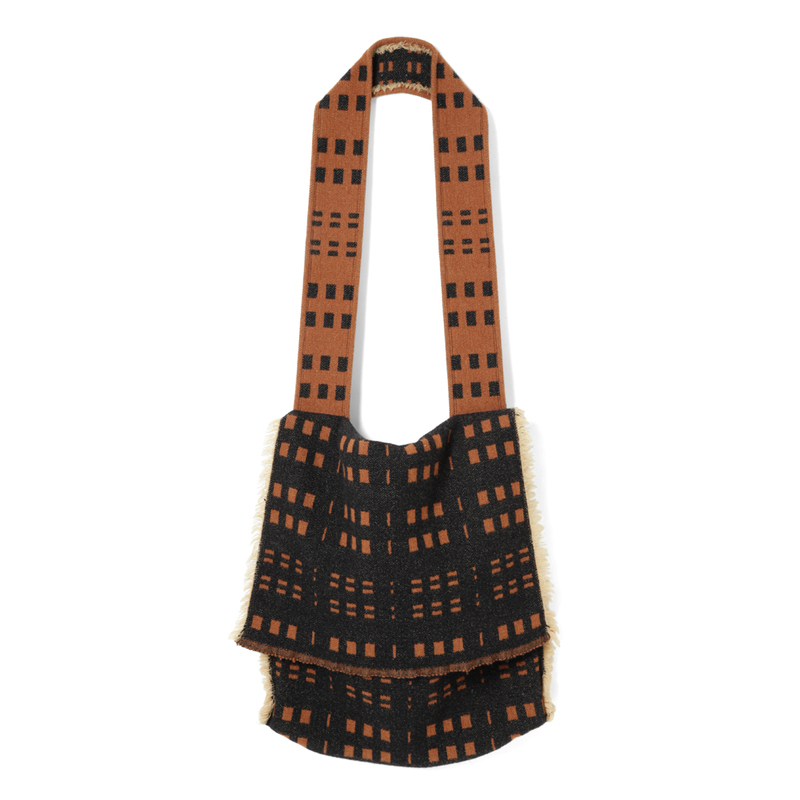 This simple shoulder bag was made inspired by a vintage horse blanket motif. The fabric was washed and dried to create a fluffy texture and features a fringe finish on warp. The design was based on a vintage newspaper bag, as seen with the large flaps and thick straps. The back side of the fabric is used on strap as a stylish detail.